We enthusiastically invite you to select an avenue of support and join us now! 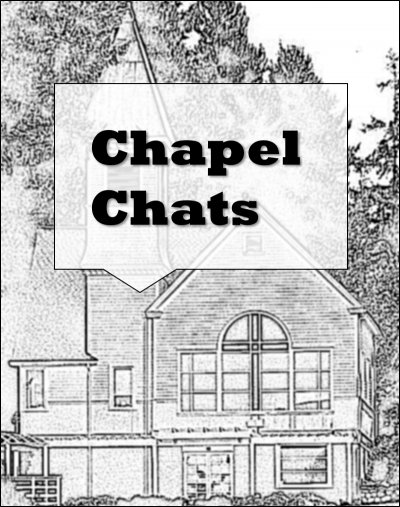 A community-based non-profit 501(c)(3) organization, the Chapel Preservation Society depends on private support and the hard work of its dedicated volunteers to preserve the facility and fulfill its educational and cultural mission. There are numerous avenues for individuals, corporations and foundations to support the Chapel on Echo Bay. Volunteerism. The physical maintenance of the property as well as the planning and execution of public and private programming relies heavily on the hundreds of hours donated by volunteers. Tackling tasks, from grounds-keeping to governance, dedicated individuals take time away from their daily activities to give back to this unique local charity. In May 2017, the CPS Volunteer League was founded to better formalize the search for helping hands. As the occasion arises, the League Director sends out an email describing the need for volunteers, and individuals can respond as time and interests permit. Typical requests are for assistance with events, parties, concerts, and hoc committees such as gardening and routine venue upkeep. To become a member of the League, send your contact information to info@foxislandchapel.net. 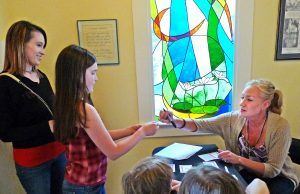 Kelli Bobber, her daughter Taydom Dodson and Janet Steiner at the Volunteer League kick-off reception desk.To find out more about volunteer opportunities, call 253-549-7039 or inquire by email at info@foxislandchapel.net. Annual Memberships: Annual Preservation Society memberships ($25) support the daily operations of the Chapel, including staff, marketing and general upkeep. Members get discounts on public concert tickets, are regularly invited to free members-only concerts and events and receive advance notice of upcoming programs for “first-come” reservations. I would like to become a member of the Preservation Society with a $25 annual donation. Click here to download a PDF version of the Membership Form. You can fill it out, print it, and mail it to us with your check for $25. No PayPal Account? If you don't have a PayPal account, you can still use PayPal with a credit or debit card. After clicking Submit Payment below, look for the: Don't have a PayPal account? message on the next screen and click "Continue". Capital Donations: Occasionally capital needs arise in order to restore and/or maintain the integrity of this hundred-year-old facility. The Board just completed a campaign to restore the landmark’s steeple to its original glory. Designated capital donations are essential for repairs like this and other projects as the elements take their toll and the facility cries for a bit of a facelift. Memory Lane Walkway. Memory Lane Walkway is the meandering path from the upper level in front of the Chapel through the memorial gardens to the waterfront garden below at the entrance to the Chapel Reception Room. Eventually 1000 bricks will line the walkway. The cost is $125 for a Memory Lane brick that will become a part of this historic site. Each engraved brick holds up to three lines of copy, each holding 18 characters including spaces. Buy one as a gift, to remember a loved one, to surprise a special person, or just to express yourself! To purchase a Memorial Lane Walkway Brick, begin by selecting one of the two options below, then click Next. 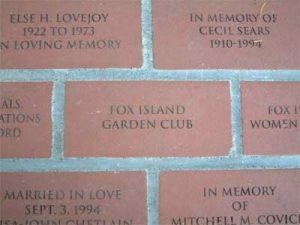 Click the link below to open a PDF version of the Chapel on Echo Bay Memorial Brick Order frm. You can print it, fill it out, and mail it to us with your check for $125. The Preservation Society Donation/Membership Form can be used to express volunteer interest, become members of the Society, purchase a Memory Lane Walkway brick or make a designated capital donation for the on-going restoration and preservation of The Chapel on Echo Bay. Paypal accepted. Make your contribution now. Every dollar makes a difference. To donate an amount of your choice using PayPal, click the Donate button below.